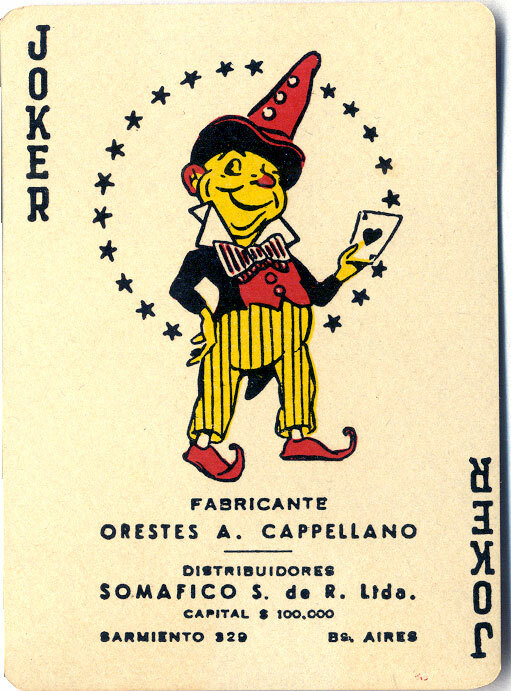 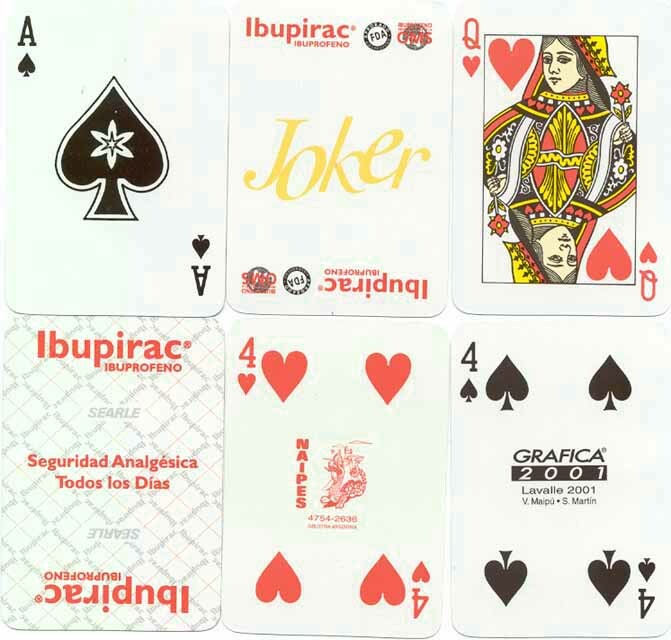 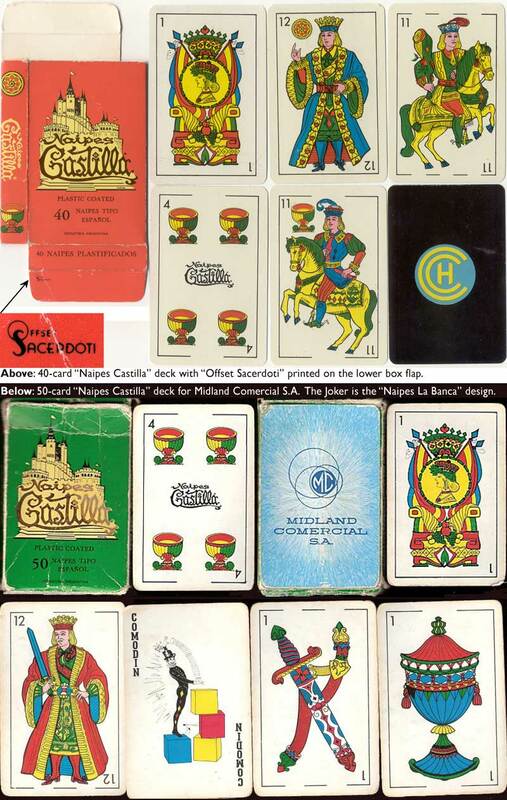 Around the early 1940s, Cappellano's playing cards were distributed by their agents Somafico S.R.L., whose details appear on the Ace of Spades, extra card, joker and box in this example. 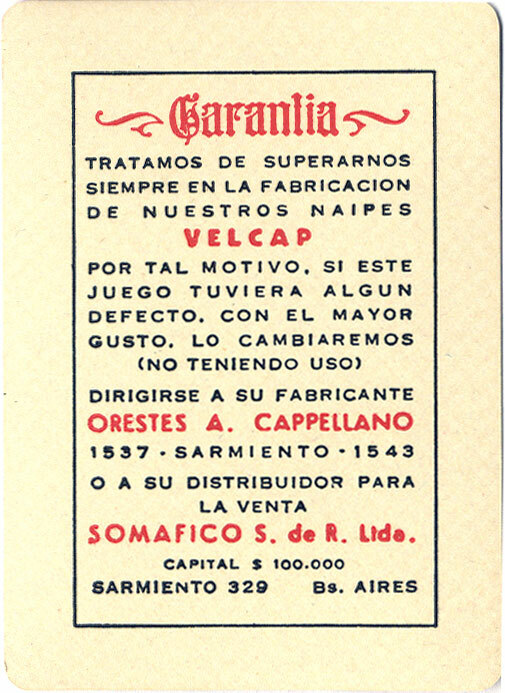 Somafico's capital is stated as $100,000 and Cappellano's address is given as Sarmiento 1537-1543. 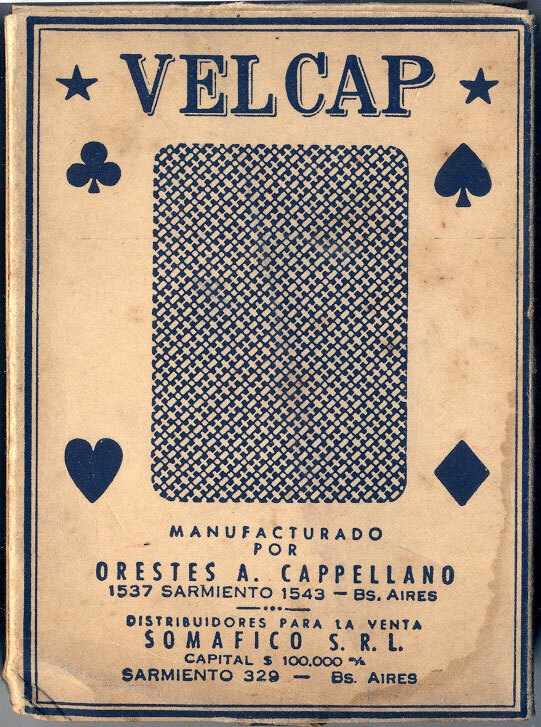 Orestes A. Cappellano were also book publishers. 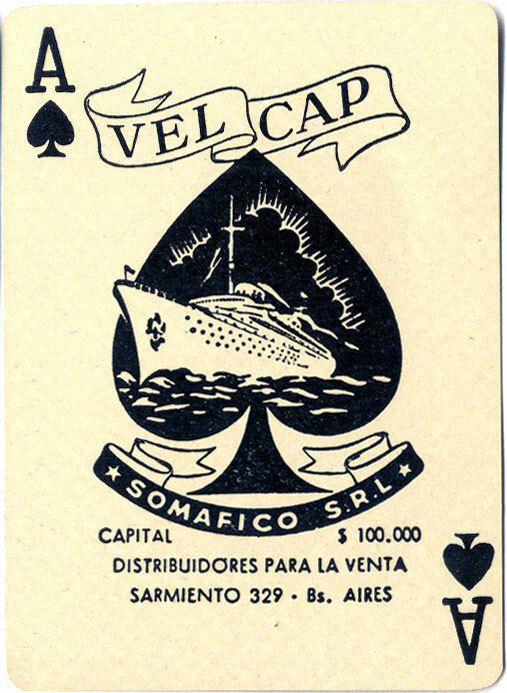 Over the years the company underwent several changes of name and address. 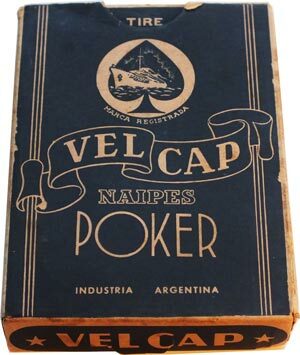 It is by studying these changes that some sort of history of the company has been reconstructed in the following pages. 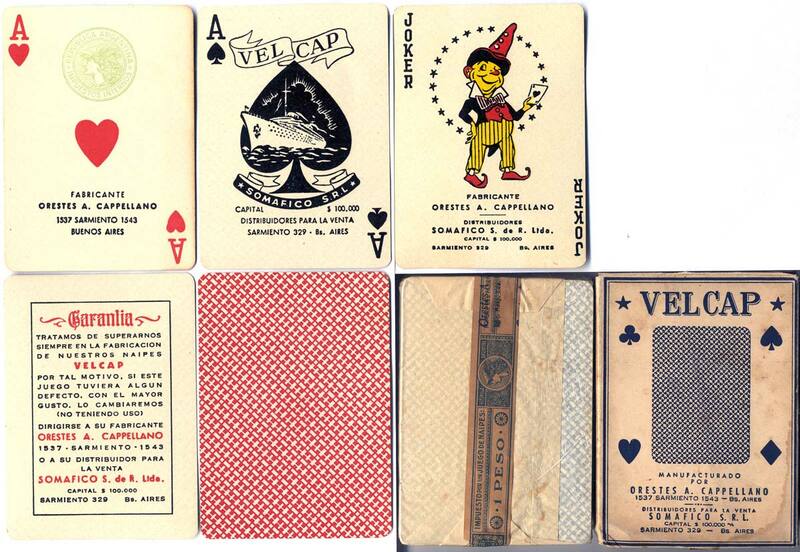 Above: VELCAP playing cards, c.1944. 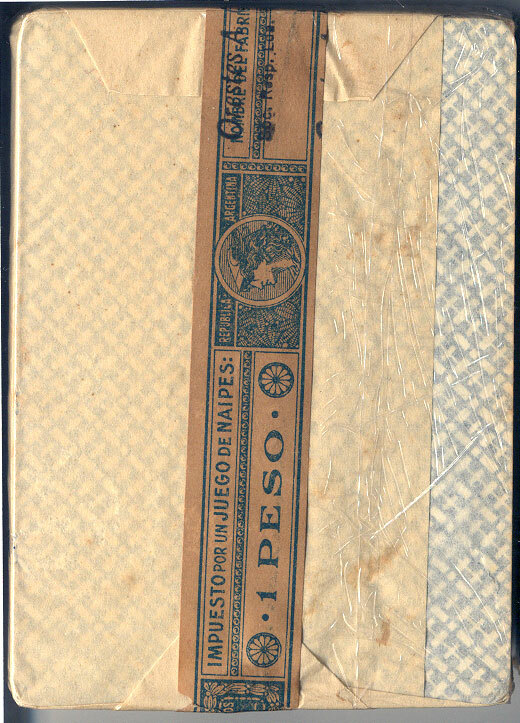 Right: 1 Peso blue tax band, normally used on imported decks, was occasionally used on home-manufactured ones, as in this case. 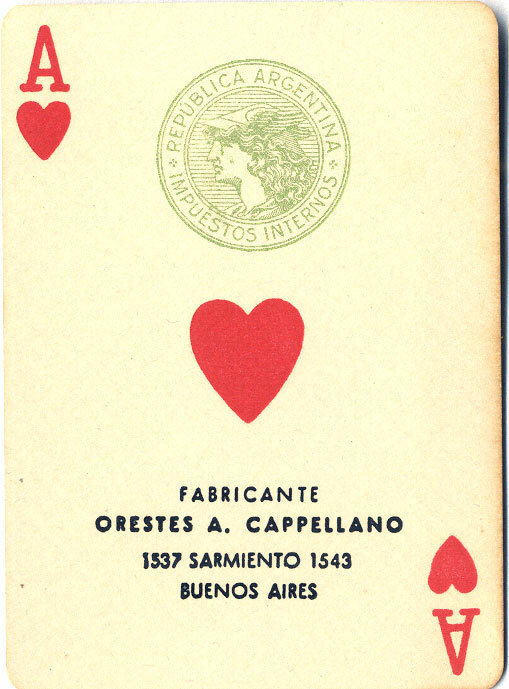 In conjunction with the earlier version of the "Mercury" tax stamp on the Ace of Hearts, the date can be narrowed down to around 1944.